What Should You Eat Before and After Your Cleanse? So you finally decided to do it: You’re going to do a cleanse. You figured out which one is right for you, and you’re prepared for what you need to do during your cleanse. But what are you supposed to do before? Or after? Does it even matter? Why? Because by doing a little preparation, you ‘ll make the transition into a cleanse feel less… challenging, and by easing slowly back into a regular routine afterward, you’ll help make your healthy new habits more likely to stick. And of course, any time you make significant changes to your diet, it’s always a good idea to check in with your doctor first, especially if you take medication or have a health condition. If you’re doing 3-Day Refresh, don’t stress too much about what you eat beforehand; it’s OK to start right after a calorie-bomb weekend or holiday feast. “That’s what the Refresh is designed for,” says Paige Bente, M.S., R.D., C.S.S.D. “This is a way to get back on track.” But you can make things easier for yourself by prepping your meals ahead of time. You’ll also want to taper off heavy exercise. It’s generally not a great idea to head into a serious calorie deficit situation when your body is trying to replenish glycogen or repair muscle. For a longer cleanse like Ultimate Reset, you’ll probably want to do a little more prep work. In addition to tapering off your workouts, make it a point to get more sleep and alert your family and friends so they can cheer you on. If you need a little more support, there’s a Facebook page full of people who have your back. Sure, you could eat a whole pizza for dinner the night before your cleanse starts, but intentionally bookending your cleanse with greasy grub as the “last meal” reinforces the idea that healthy food is something you have to suffer through. Instead, remind yourself why you’re doing the cleanse in the first place — and focus on the tasty recipes you have planned during your cleanse. Sorry, coffee lovers, but it’s gotta be done. If you’re struggling to imagine mornings without coffee, we feel you — but easing up slowly beforehand will be a lot easier than going cold turkey on Day 1. 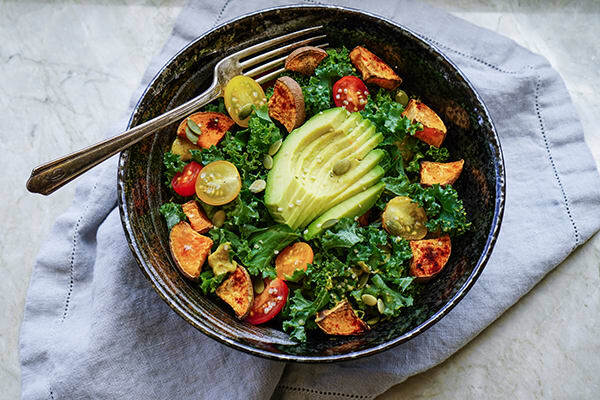 Ultimate Reset is high in fiber, so if you don’t already follow a high-fiber diet, consider upping your intake in the week leading up to your cleanse. “Fiber is good for you, but it can also make you a little gassy sometimes, especially if you’re not used to it,” says Faye. Adding more fiber before you start a cleanse will give your body extra time to adapt. A no-holds-barred cheat day might sound like a fantastic idea, especially when you’re craving a plate of loaded nachos. But the day after your cleanse is not a good time to go all-out. If you completed the Ultimate Reset (well done, you! ), start adding grains back into your diet during the first week afterward, and pay attention to how your body reacts to each new food. If something makes you feel sick, gassy, or congested, Faye says, you may be sensitive to that food. In the second week, as your body adjusts, you can boost your portion sizes a bit and add legumes and tempeh back in. Three weeks after, you can slowly start adding meat back into your diet (if you eat meat, of course). Start with organic yogurt or eggs, then add other animal products back in slowly. You can always use your cleanse as a jumping-off point to try a vegan diet or cut back on carbs. Start with some of these post-cleanse recipes to help you get started. Not sure how much water you need? Beachbody recommends using your body weight as a general guide to get started. Drink your body weight, divided by two, in ounces. So, if you weigh 150 pounds, that would be 150 divided by 2, which equals 75. That’s 75 ounces of water every day. But note: That amount will change depending on your activity level and the environment you’re in, but it’s a good place to start. Processed foods, sugar, alcohol, tobacco, and artificial sweeteners should be avoided as long as you possibly can after your cleanse. “If you can stay away from them forever, great,” Bente says. After the tune-up your body gets from the cleanse, you may find you no longer crave junk, anyway. By taking a little time to prepare and care for your body pre- and post-cleanse, you’ll reap the rewards long after it’s over.